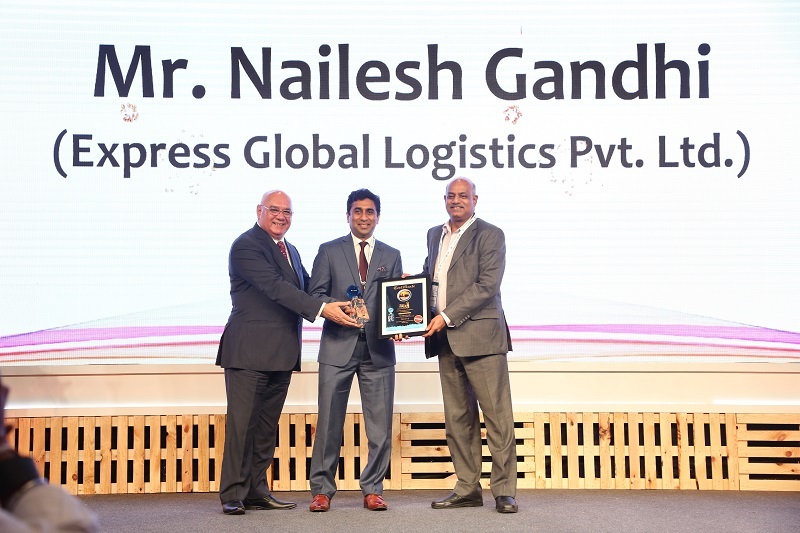 Mr. Nailesh Gandhi, Director of Express Global Logistics (members in India), has been awarded as ‘Dynamic Logistics Professional of the Year’ at the 2018 All India Maritime and Logistics Awards (MALA). The MALA awards are one of the industry’s top honours in India and Nailesh was awarded at the ceremony held on 31st August in Mumbai. The award is a testament to Nailesh’s immense knowledge and contribution to the Indian logistics sector. Express Global Logistics (EXG) are a project and engineering specialist company, established in 1946 with headquarters in Mumbai. They are an asset-based company with a pan-India presence, backed by their own fleet of Goldhofer hydraulic axles, cranes up to 450tns and warehouses.